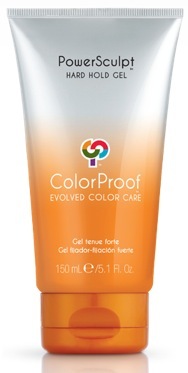 Mold, hold, spike or slick hair into shape with this revolutionary hard hold gel designed exclusively for color treated hair. Featuring nutrient-rich, eco-friendly Certified Organic Liquid Bamboo, this high-endurance, heat-resistant multi-tasker works overtime to deliver long lasting hold, phenomenal strength, unsurpassed color and thermal protection and unstoppable style definition that bends but doesn’t break and never flakes. Power up! Picture shown is 5 oz tube. You are ordering the 1 oz. tube.